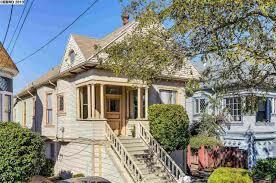 Alameda is located on an island of the same name in the San Francisco Bay and possesses a small town feel with its Victorian homes and tree-lined streets. It is an architecturally and historically rich community with over 10,000 buildings constructed prior to 1930, and the town is committed to preserving its rich heritage. Alameda’s monthly Antiques and Collectables Faire, with over 800 booths, has some of the East Bay’s best vintage shopping. It is connected to San Francisco and Oakland through tunnels, bridges, and ferries, giving its residents a sense of privacy, while still supplying the rich excitement of the Bay Area. Alameda’s shores are renowned for their wind surfing and kite flying, while its streets are lined with historical theaters, museums and performing arts centers. Whether you are having high tea at the historic Webster House or getting funky at the yearly Peanut Butter Jam Festival, Alameda’s fresh and exciting atmosphere and breathtaking panoramic views will have you coming back for more. Alameda South Shore Center – If you like to shop, you can find it all at South Shore Center.